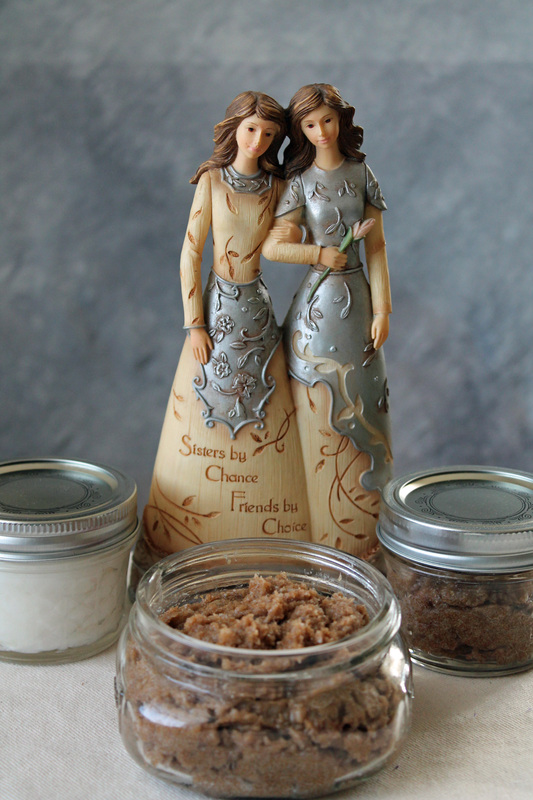 Today I will be sharing recipes for two types of scrubs. One is a strawberry scented body scrub, for a gift, the other is a pumpkin spice hand scrub (it can also be used as a body scrub but your shower/tub will get slick). The hand scrub is for me. My sister, we will call her D had her 30-something birthday a few weeks ago, I would tell you the exact age but she would never forgive me. Let me tell you something about my sister. She is spring/summer where I am fall/winter. When the first blooms fight their way out of the earth after winter my sister comes to life. She smiles more, there is excitement in her voice when she talks about her garden plans, and she will happily spend her days sitting out in the sun reading a good book. Me, my life is fall. When the days get shorter and there is that cool bite in the air, that is my time. Oh I still love to garden in the summer but I’m not happy out in the hot sun. I worry about bursting into flames. For Ds birthday I decided to make her a summer scented body scrub. 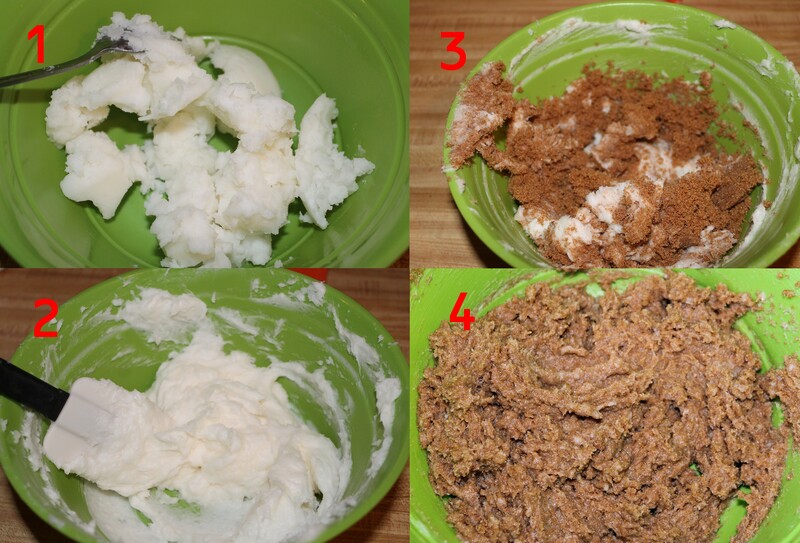 The recipe I used is similar to whipped coconut lotion. You just add an extra ingredient. D has always loved strawberries. The scent and the taste. A few years ago she suddenly developed an allergy to strawberries. I don’t mean she breaks out in hives, no it’s an allergic reaction that requires a trip to the ER. She misses strawberries dearly. I went on Amazon to find some strawberry fragrance to use in her body scrub. If she can’t eat them I can at least give her strawberries in a safe way. I ended up getting a multi-pack with several summer scents. 1 cup to 1 ½ cups coconut oil. Container for the scrub. For a gift I use a pretty glass jar with lid, for me I just use a plastic container with a lid. I must tell you this will be a thick body scrub. Not a runny oily one. I like the thick ones with coconut oil for the shower. Coconut oil seems to just run down the drain if the water is hot enough whereas the runny oils tend to stick to the tub making a slick mess which could result in slips and falls. This I have learned the hard way. Scoop out several big spoonful’s of coconut oil. (it is a solid oil, like lard). If you don’t have a measuring cup, six or seven heaping spoonful’s should be plenty. Add your vitamin E and tea Tree oil if you are using them. Now with your hand mixer, whip up the coconut oil until is the consistency of a thick hand lotion. This will take several minutes. Mix it in by hand or mixer. Now add you brown sugar. Use enough to make the concoction feel more like a paste instead of a lotion. Usually one to two cups. Mix it in by hand, with a fork. Fork just seems to work better than a spoon. Smell your wonderful scrub. If the scent isn’t strong enough now is the time to add more. Now your are ready to put the scrub in pretty jars to give as gifts. This filled three 4 oz. jam jars and one slightly larger decorative canning jar. D got strawberry whipped coconut lotion, body and hand scrub. 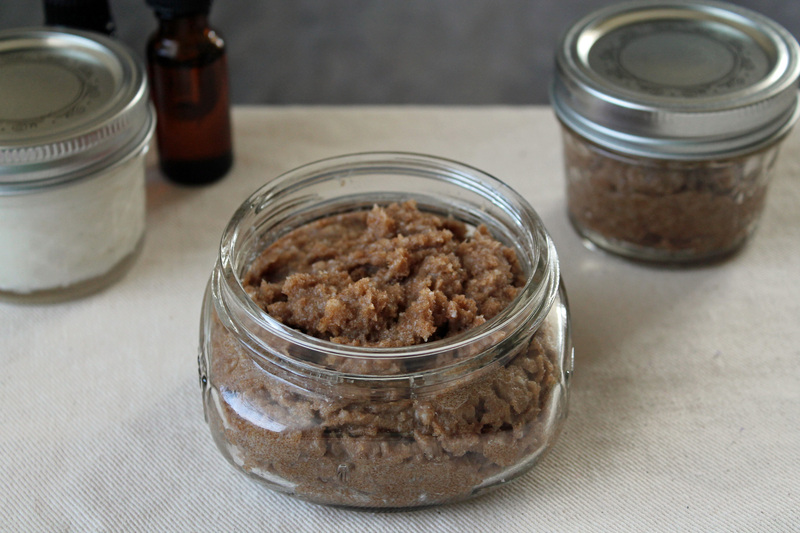 Here is the recipe for hand scrub I use when I come in from the garden. I have dirt on my hands and a ton under my nails. This scrub does a good job of getting that stubborn dirt off my hands. I keep a small jar by the kitchen and bathroom sink. I got this recipe from Pinterest. 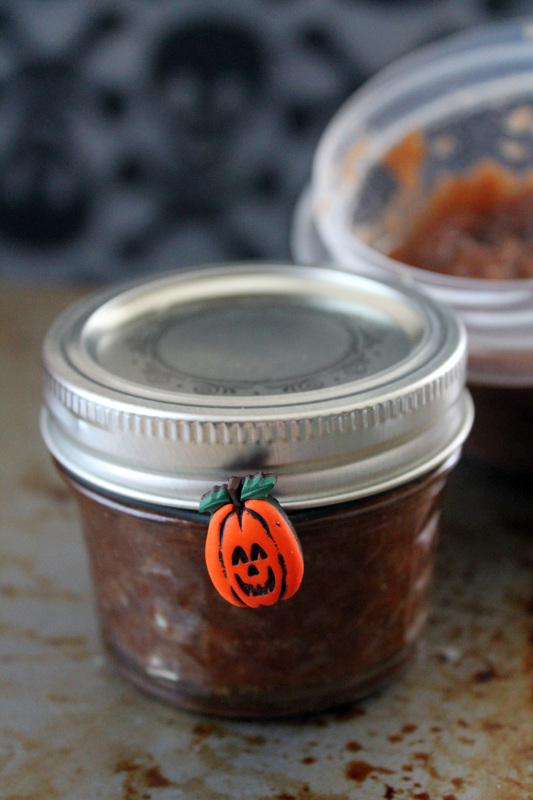 Pumpkin Spice Scrub. On Pinterest it is called a body scrub but I like it as a hand scrub. 1 cup of vegetable oil. Since this is just to get dirt off my hands I don’t use the more expensive oils. Mix the dry ingredients: the two sugars and pumpkin spice together. Mix well. Try to get all the lumps out. Add oil and stir. If it is too thick add more oil until you get it to the consistency you want. *This will make a heck of a lot of hand scrub. I halved the recipe, it was still too much. I could tell it was going to be too much before adding the oil. So I poured the dry mix in the two jars I was using then added the oil to the jars. I had quite a bit of dry mix left. I just poured the remaining dry mix into a labeled baggie to use at a later date. It was a warm breezy day when I made these scrubs. I had windows and doors open enjoying the nice weather. Sadly as I was pouring the dry mix into a baggie the wind slammed the front door shut making me jump out of my skin which resulted in half of the mix missing the bag and spilling into the floor. And on my pants leg. And down my shoe. 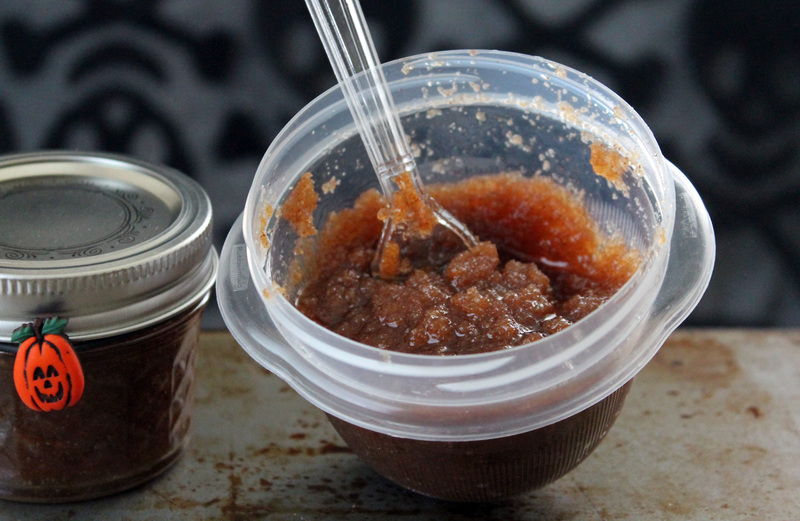 Do you know how sticky brown sugar is? Pretty darn sticky I discovered. Now if you are using this for gifts go with the full recipe. I don’t know how many jars it will fill up but I’m sure it will be more than plenty. How easy was that? Once you learn the process there are so many scents you can use to customize your own scrubs.